Last weekend, listings on the Square Enix website and Amazon revealed Europe would be receiving physical releases for Final Fantasy X | X-2 HD Remaster and Final Fantasy XII: The Zodiac Age - just like Japan and North America. 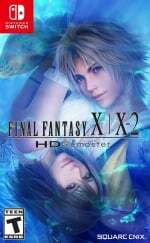 On the downside, it was discovered both games would not be included on the Final Fantasy X | X-2 HD Remaster game card, with users required to download the X-2 HD Remaster separately. It's hard to say what exactly is going on when Southeast Asia is receiving both games on a card and the European version comes packaged with a download code. At this point, if you do really want both games on the card and happen to live in Europe, you might need to consider importing the game. What do you think about this? Tell us below. If this has English, how hard and costly would it be to import this to Canada? I've not gotten into importing, but if it's not too much more and no hassle, I'll get this version. But jeez, if they both fit on one card, why not just do it for all regions? Off Topic: But is it amazing to anyone else that Super Mario Party outsold PLG: P in North America? @subpopz You should be able to order that version from play-asia.com. It’s probably around $20 for shipping. It ain't gonna happen... but I NEED FF9 to be physical. Something to do with all the European languages I guess? I remember they had to split that 3DS port of One Piece Unlimited Cruise 1+2 back into 2 in Europe because all the subtitles for all the languages didnt fit the cart. @DockEllisD Thank you, bookmarked that. Shipping isn't too bad, probably better if I got a couple things on one order. They actually have FFX/X-2 listed for preorder saying it does have English. I'll definitely be getting this version, then, if it does indeed have both on one cart. Asian version (Region 3) will be BOTH of them ?! Was it confirmed that it's gonna be a DL code for North America as well? I want to import a copy of this but is Play-Asia the only one doing it online anyone else doing it? I imagine different regions might be sourcing the publishing through different contractors. This could be a backup plan should the physical/download split for this collection occur in North America. I'm not sure if we've had any confirmation for here yet. @Mrtoad Not really, considering it only outsold the two SKU's separately AFAIK, not their total. There was a displeasure among South East Asian (SEA) Switch gamers on how Xenoblade Chronicles 2 Torna - The Golden Country release was handled. The root cause of the problem is that as SEA region dont have an official Switch Eshop (for me, i need to use USA or Jap region to download/ purchase games), there is no way that the XB2’s DLC download code can be redeemed in the region, so Nintendo left the download code out in the game. More info below. It is highly possible Bandai Namco wants to avoid all the outrage that happened for XB2, that they include 2 games on the card for this HD remaster, without the need for DL codes. And for those who are wondering, SEA region games will be fully in English. @Dayton311 X was a long one, 60 hours, maybe 80, X-2 I played for 4 hours got disgusted and stopped. Worst FF game ever. 3 girls who dress up in different outfits to do a few missions GTA style. I still don't get it. XII, since the article mentioned it as well, had an ok but forgettable 30 hour story but then I hunted monsters for another 100 hours as it was just so much fun. My kids and I called it Final Fantasy: Monster Hunter when they were little. If the Asian version had multi-language support then hell yeah I'm getting that one instead. Wish Square Enix would just do this for all versions instead of cheaping out on the cartridge or whatever the reason is but expensive import from Play-Asia it is. I was going to wait a while until preordering it but considering all the Nintendo news outlets seem to be reporting on this, I'll jump in early just to be safe. Anyway, maybe the customer service on Bandai Asia is misinformed? I'll wait for more confirmation. But I'll preorder from Amazon Japan regardless and just cancel if something changes. Would it honestly break Square-Enix to spend the few bucks for a bigger game card? Especially for a remake of a game that obviously has sold a ton already and they expect to sell a ton more (or they wouldn't release it in the first place)? @BensonUii The Japanese version isn't the same thing. Square Enix are publishing there. Needs to be the one from Southeast Asia. My bad. @BenAV says it's southeast Asia only so Japan will be different. so i just have to preorder the asia copy on playasia correct? @subpopz Not hard or costly at all. I import most of my games from Japan and Asia. Oh, boy. I was going to wait for a heavy discount, but both in the game card are certainly alluring. I guess I'll get it on PS4 if this is a download code. SERIOSLY? They can't fit even one game on the card? The Vita version had at least one game on the card:p.
@Juanblue85 I don't know which country you're from but ozgameshop (UK-based, Australian prices) have been stocking Japanese and Asian versions of a few Switch games. 365 Games is the UK equivalent (I'm guessing the original) so they're bound to have similar stock. No @Blitzenexx they have not yet confirmed it yet here in America but seeing as Bandai Namco is our publisher too there is still hope. Off topic but does anyone know if there's an Asian version of the Atelier trilogy (with English) on Switch? So, the USA version is the last hope. Yea @Anti-Matter it is because i really don't fell like doing all that reading. EDIT: That and I've already pre-ordered mine. To be fair, hated FFX-2 so will still get the European version, then if I'm really stuck for games I might download it, but doubt it, was an awful game in my eyes, especially after the previous one was so great with an excellent storyline. Yuna has guns for pitty sake. I think everyone may be getting a little ahead of themselves here. I will continue to reserve judgement until we have official confirmation. On Play-Asia, the Asian, European, and American versions all cost the same, which makes little sense as the Asian version would be a little more expensive to manufacture. What's the go there? The Japanese version is AU$20 more expensive, but that is not indicative that their version will be on the cartridge in full (and that hasn't been the case up until this point). I'll definitely consider importing if both games are on cartridge, however. @Sephiroth_FF : No, sadly. I am only aware of a Japanese physical release (which does not include English). This may be a bit of a stretch, but perhaps Limited Run Games could issue a physical release of the English version. Why is it not an option to buy direct from thier website with the choice of download code in a box or download and cart, or full out cart. Nintendo has said that's what they are going to to do in Japan so why not give us the options and then we can decide which we want. @Silly_G That's a shame. I knew about the Japanese version already and it's disappointing that English isn't included. I'm still holding out hope for a physical release somewhere. I never buy digital and would certainly not pay the outrageous prices on the Australian eShop. 2 If it is a download code though, it's somewhat expected given Vita was the same way. @Sephiroth_FF : Plus, the download size would be pretty significant (around 8GB per game) which also adds to the overall cost and without the benefit of being able to share the game on multiple consoles. The triple pack on the eShop only displays the download size of one of the three games, but that surely isn't right. The total would be something like 24GB. I also prefer physical in all situations, and I certainly wouldn't buy a large game unless there is a physical release. Here is a tips to enjoy FF X-2. 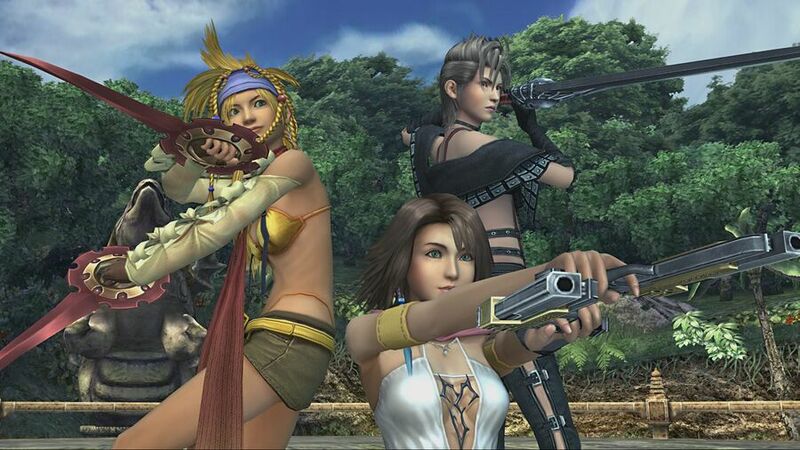 FF X-2 was like a J-Pop Fantasy with Charlie's Angels (Yuna, Rikku and Paine) in mission to find the lost spheres in hoping Yuna can meet with her lover Tidus once again. During gameplay, there were some fancy and fan services like there were some "Slumber Party" activities (singing at Thunder plain, escorting the Hypello's cart, gave massage to Le Blanc, etc) that usually girls did at Slumber party at house. Actually i didn't really enjoy FF X as FF X-2. FF X was too scripted to me. @JaxonH Amazon was the first store mentioned in a couple dof articles (including one on here) to have it for pre-order but ozgameshop actually had it earlier, as I posted in the comments on a previous article about this topic. They probably all just copy and paste the same information so it's hard to tell for sure until confirmation. The game is out fairly soon so I don't know why it takes so long for confirmation for the remaining versions. @Silly_G Yeah, the sizes are huge. Resident Evil Revelations 2 takes up so much space and I had to delete LA Noire to play Doom. I couldn't even fit one Atelier game at the moment let alone three! I doubt that Square Enix is going to cough up the cash for such a big card. That's has to require at least a 32 GB card for both games to fit. Weren't both games multi disc releases on the Xbox 360 because of the systems DVD storage limitations? Update: Nevermind. Looks like maybe it will fit on an 8gb card. For some reason I thought this was XII. X was originally released on the PS2. I'm more excited for FFXII. Maybe it's the Vagrant-Story-ness of it, or maybe it's the open exploration it provides. Maybe it's the lack of water soccer. If its download required then I'll wait for it to be $20-30. Or just pick it up on PS2. I actually recently got a PS2. I'm playing Xenosaga currently. Graphics are fine for me. Ordered the component cables last night. Should be even better. Here's hoping North America (Canada specifically) will follow the Southeast Asia trend with both games on one card. If both are on card then I'll get the asia version. @Trajan Xenosaga has always looked really nice to me for a PS2 game especially II and III. So this means Amazon Japan has the One game and one download while Play-Asia orders have both games on the same cartridge. If I am been following all this controversy right now. No @SwitchForce it's not the Japan one it's only the Play- Asia one. Anti-Matter has the exact link somewhere on this page. @CurryPowderKeg79 thanks now I just have to donate a kidney for the import duties... ugh.. But looks like I'll to spend money there again with little I have saved for 2019 funds. @Angelic_Lapras_King Honestly, I didn't even think about that, but you make a very good point. Lots of languages = lots of extra space needed vs. Japanese only. If true, I wonder if in the U.S. we'll get English and Spanish versions on one card. @nintendork64 pretty sure the different languages are just text files. No audio files so it really wouldn't take up that much extra space. Ok UPDATED: Amazon JPN comes both games loaded on the Cartridge. This is confirmed. Thank you for contacting us Amazon Japan. This is xxxxxxx from Amazon Customer Service. First of all, I sincerely apologize that you have concerned about the order. I totally understand how you feel and how confusing it is. As for your concern, I have confirmed that this game has both X/X-2 HD Remaster, and this is not down downloaded type. Therefore, you do not need to download. I hope above information helps. If there is anything else I can assist you with, please feel free to contact us at anytime. So unless someone else can dispute this info coming from Amazon Japan-I am going to keep my preorder with them. This is with me contacting CS Amazon Japan and giving them this link and the info I was told on this site. @CurryPowderKeg79 just like Bayonetta Climax was rumored to not have English option as well. So where are you seeing there isn't a english option. I'm emailing to verify to check on this option. Well, this is turning into a mess. Let's try and figure out what's going on. So it's direct from the publisher and unlikely to be an error. For languages, the same site says EN/FR/IT/DE/ES text and EN audio are included. For the JP version, I had kinda assumed that Japan was getting similar treatment but when looking up about it, I couldn't find anything about a code for Japan. The closest I could find was a note 'Physical version not available for Xbox One'. So hopefully the JP version is fully physical, considering SwitchForce's Amazon Japan response above. So I'd expect the JP Switch release to be in Japanese with no English, but couldn't find any confirmed info. For the South East Asia version... Play-Asia says 'Language: English, Japanese / Subtitles: English' for the Switch version, which has me curious considering past releases. We know Nintendo doesn't support the eShop in South East Asia, and NintendoSoup apparently confirmed with Bandai that both games are on the cart. I played the original PS2 versions of X and X2, and at the time it released, EU had the best version of X, with the extra content there from day 1, meaning that the X side of the remaster didn't add much for EU. So if I was only getting one of the Remasters, I'd prefer X2, which did have content new to EU. Maybe that's why this EU release sounds so disappointing to me. Ah well, Play-Asia comes to the rescue. @kobashi100 True, but it's hard to say without knowing how large the files actually are on the cartridge. Only the programmers know that information. I emailed Enix support to get to the bottom of this cluster **(Y(& to get the real story what is and isn't for this game as this is a totally mess. Actually it wasn't @dimi it was one cart and a download code for the second game. I like having the games seperate, personally. I loved X-2 as a teenager but have a hard time wanting it in my collection now. @Drommajin All South East Asia games have English language options. They're the equivalent of North American versions. If I I recall correctly, They're southeast Asia region because Nintendo finally sorted out things there so maxsoft is the official distributor based in Singapore. Platinum Group Metals Ltd (PLG.P)? This is probably a silly question, but I have no idea about how the South East Asia (SEA) region is identified in the cartridge. Where I'm at, I've noticed that the supply of physical games show the "USA" or "EU" code at the end of the serial # that's printed on the sticker of the cartridge...is there a different code for SEA? @bluesun You, and some others, keep mentioning Play Asia when it comes to the Asian version of FFX/X-2. Does that mean it'll be exclusive to Play Asia? @Sephiroth_FF No, it shouldn't be an exclusive. It's just usually when it comes to getting Asian versions outside Asia there aren't many choices, and Play-Asia's probably the most well known site for offering import games of peculiar regions. I have both the English and Japanese versions of FF9 on PS1 and have really been wanting to play it again lately but am holding out for the Switch version. Don't know how much longer I can last though. Lol. @bluesun Thanks for clearing that up. 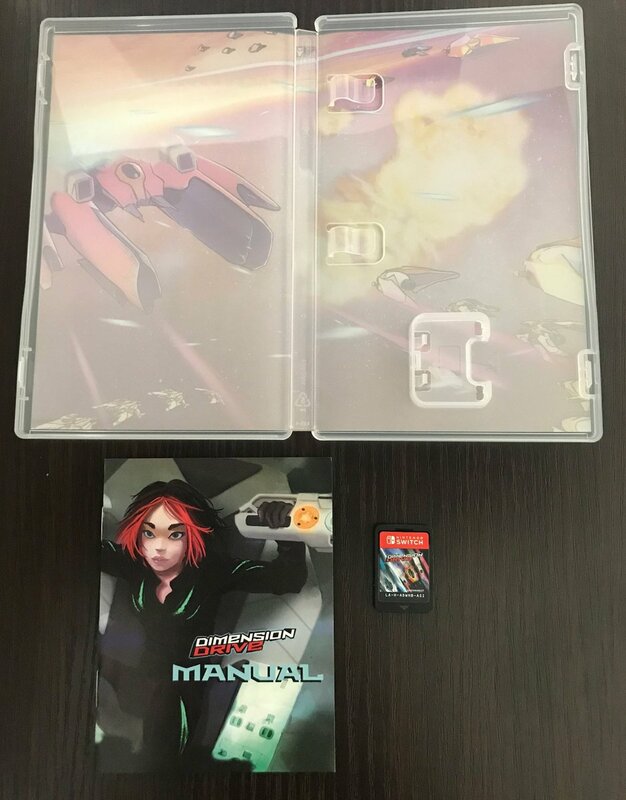 If you want a physical copy, including both games on the one card and no download label, it might be worth considering importing a Japanese or Southeast Asian copy of the game. Both of these include English support as well. So that would mean Amazon Japan would have English option as well and cost less then PA to order. This is how it should always be. America and Europe TAKE NOTE!! @jsty3105 I just preordered mine from PlayAsia.